A busy summer this year, amazed August is just about here. Haven’t taken my camera out as much as I’d have liked this summer but I’ve also mostly been working. Looking forward to some photography during some vacation time in September. With a high of 95 degrees today I could tell the heat was getting a bit much for the critters today. 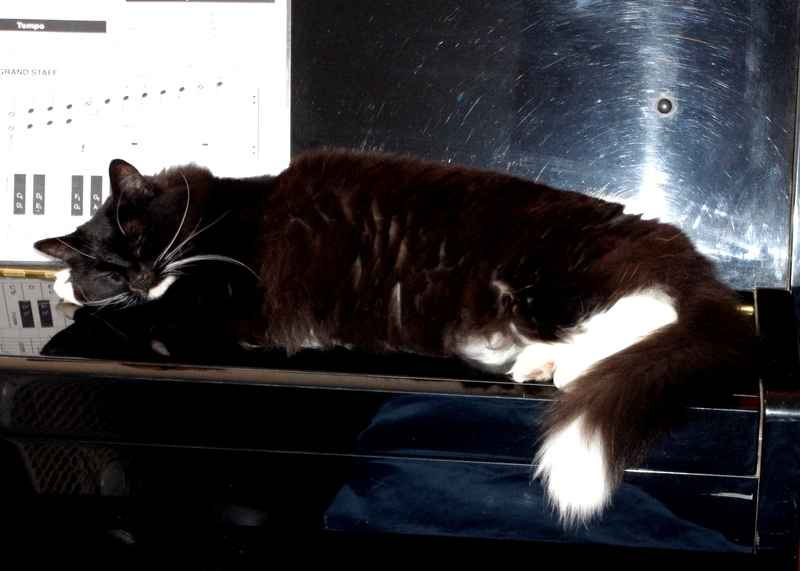 Just before leaving for my extra hot soccer game I found our cat Katara sprawled about the piano near the fan.